For my halloween project (that looks delayed due to work craziness) I have created a spooky tree, and here's the build steps. 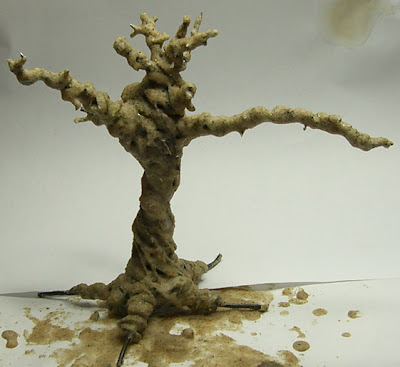 I start with some heavy wire (from a hardware store) and twist it into a rough tree skeleton. To cut the heavier wire, I use tin snips as I outline in my cutting tools article here. As I move into lighter wire, normal wire cutters work just fine. When twisting the heavy wire, use pliers so you don't hurt yourself. Pliers will also let you twist the wires tighter, which is important as this is the frame for your tree. 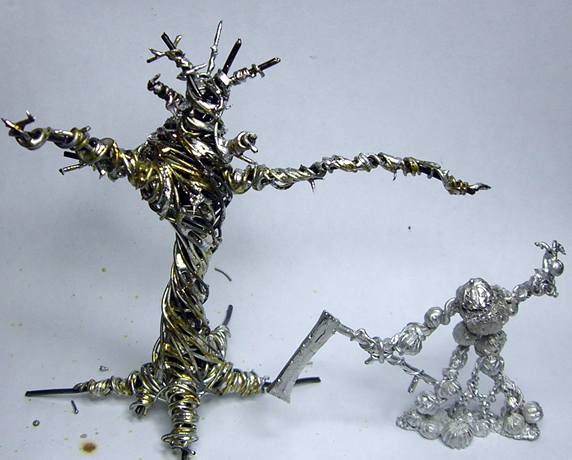 I move onto lighter wire to create the body of the tree. Have some fun here because this is where you're creating what the tree will look like. Wrap the skeleton, add multiple layers, build everything up. Branches don't always just stick out - usually they curve upward and out of the tree. Watch how the roots bulk up at the base of the tree. Be consistent with the direction you wrap your wire to keep things looking natural. Wire sticking out is fine, just like little branches. 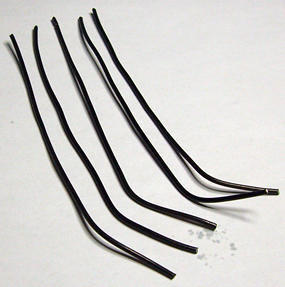 Use a soldering iron to apply heat to the area you want to solder. Apply solder to the metal, not to the iron. This is very important. If the metal you're soldering isn't hot enough to melt the solder, the bond will be weak or non-existent. When soldering, you don't want things to get too hot for too long. Be careful if you choose to use a torch (clicky) to heat the metal or have a high powered iron rather than a standard 1 or 2 position one. Typically, you want to heat fast - solder - move on. If you make a mistake heating, the solder won't stick to the metal even if you reheat it. Now, it's looking pretty cool, but it's still too open, too wiry and not quite a tree. To do that, I have to cover it with something. Gel came to mind right away, but I wanted to try something new. Glue maybe? Too smooth. A tree, especially a spooky one, needs some texture to it. 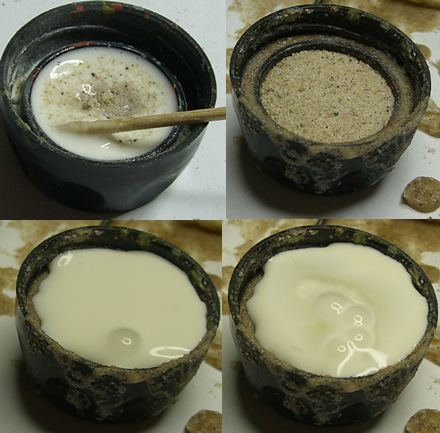 I used a cap full of sand, (fine grit, not large particles) added some glue, then a little water to help the flow. Mix that all up, and now I have some bark. Don't use too much water, or it will be too runny. Too much glue, and it won't be gritty enough. Find a mix that you like. Put down some paper beneath the tree, then apply lots and lots of this bark. A single cap was apparently not nearly enough, but it's disposable, so I just mixed it again... and again... and again. Be sure to get under the branches as well, though you'll probably have to use less water and a thicker mix of glue/sand. 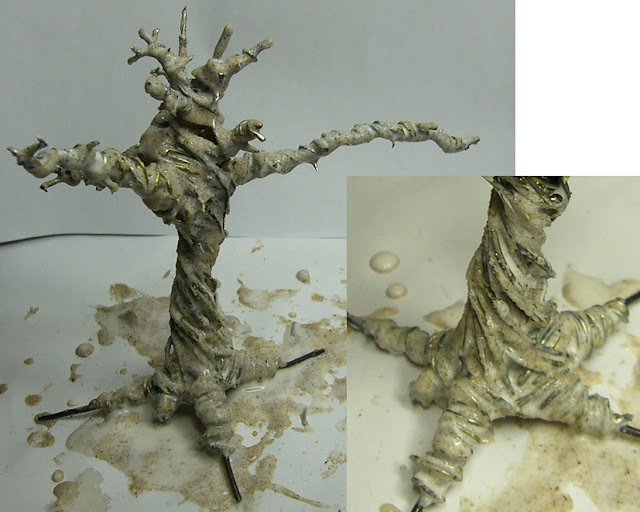 Before leaving it to dry, pick the tree up and move it so you don't end up gluing it down. Now it's dry and looking good - but I think it needs another layer of bark. I think it's looking pretty good for a spooky tree. 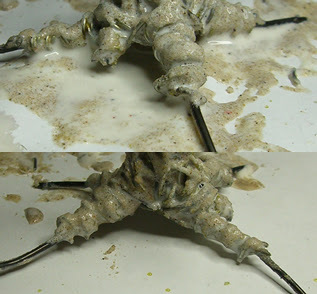 I don't want to paint it yet since the rest of my build isn't ready, but this tutorial is about building the tree - you know how to paint it, right? Gesso, with a wash or ink added to it, would have worked well also. I love this project! Gesso would certainly work to add a little texture but I don't think it's thick enough to fill all the holes like the glue helped do. But a heavy gesso would've worked as well. 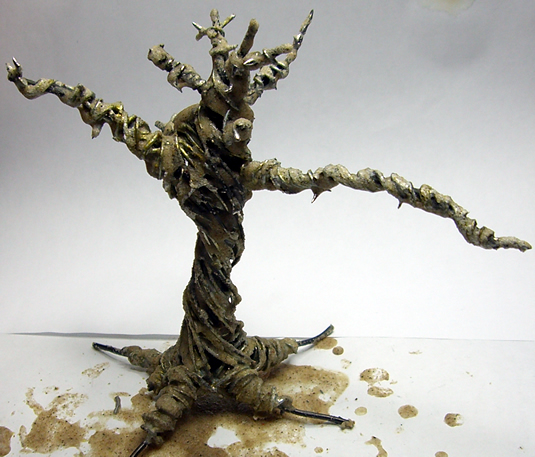 I do intend on priming the tree black and painting it up a dark brown rather than leave it like this.